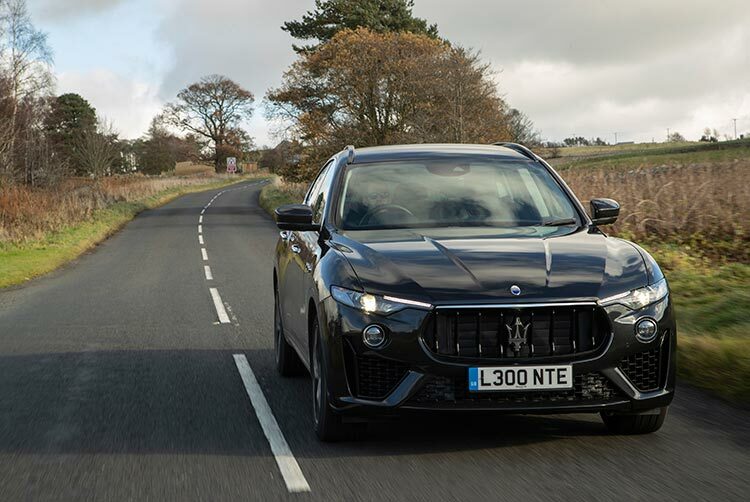 Maserati brought along with them a whole range of cars to test – from the lairy GranTurismo MC coupe to the SUV based Levante. With so many beautiful cars to fit into a short length of time, I put myself forward for an early drive of the Granturismo MC. 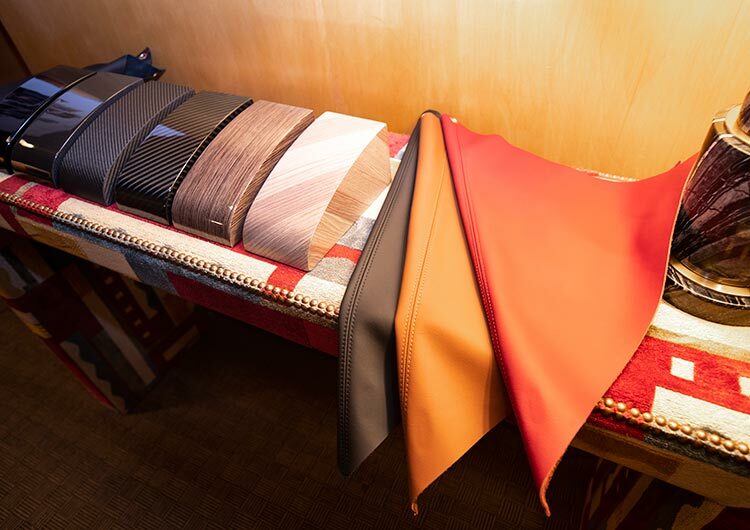 As Maserati’s range-topping GT car, it comes suitably furnished with a mix of leather, alcantara and carbon fibre. This isn’t a GT car in the same vein as say a Bentley Continental however, with a much heavier emphasis placed on the driving experience. For all the digital computing power of modern cars, the MC goes a little analogue old-school. Up front sits a large, naturally aspirated (4.7L) V8, pumping out 460hp which punches the ‘MC to 60 in 4.7 seconds. In terms of raw numbers, it’s not the most impressive engine – but it more than makes up for it with one of the finest soundtracks around. Then there’s the looks. 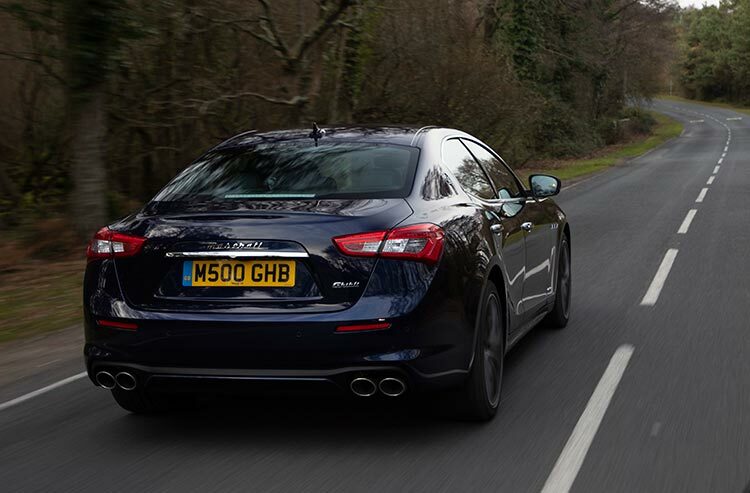 It’s the least-subtle from the Maserati range, with carbon splitters and lips adjourning the exterior, but boy does it work. Finished off in stunning ‘Rosso Tironfale’ paint, the GT MC is perhaps the most beautiful car I’ve had the pleasure of driving. 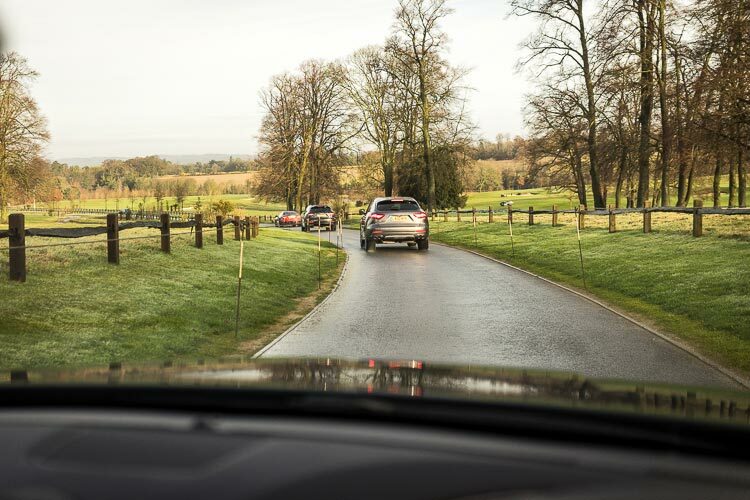 Sadly, the driving experience was hampered somewhat by the English weather, with damp roads and summer tyres providing considerably less grip than the V8 demands. The MC was would light up the rear tyres with ease, but the soundtrack and driver-focused feel left a real impression – one to try again in warmer weather! 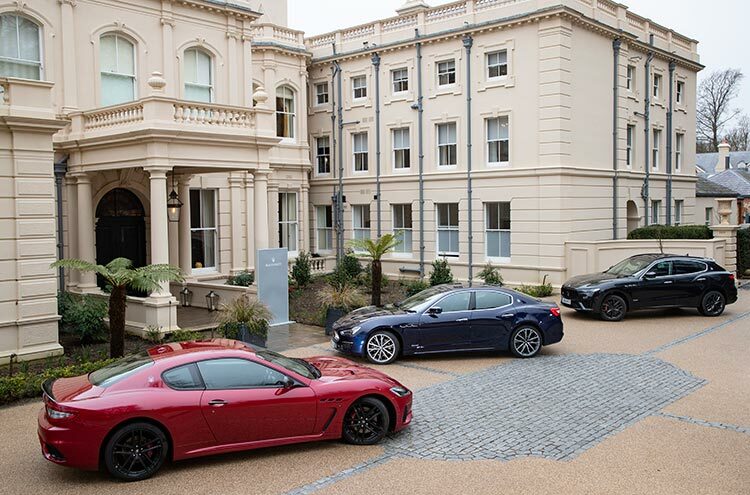 The second day of the event featured two other models from the Maserati range; their 4 door Ghibli saloon and Levante SUV. 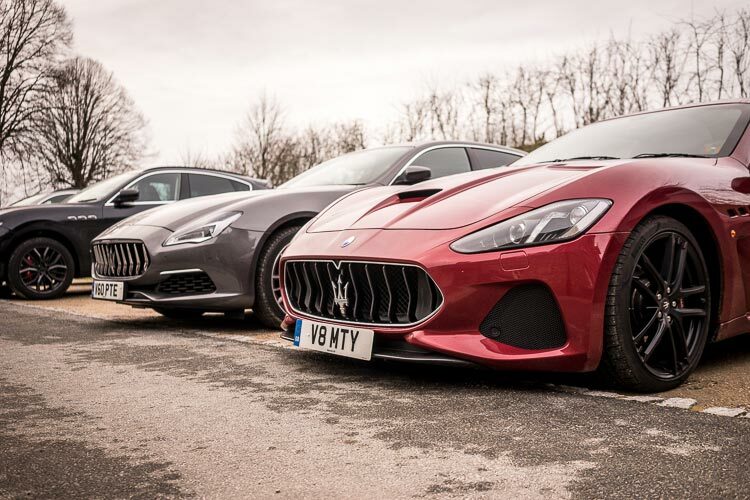 The Ghibli was up first; fitted out in GranLusso trim (comfort-focused) with a 3.0L 275hp Diesel engine, Blu Passione paint and the Bowers & Wilkins audio option ticked (a £2,300 option). Of all the Maserati’s on show, it’s perhaps the least-striking to look at from the outside, but still carries the signature front grill and angular lights that give it an un-mistakably Maserati look and presence. On the inside, the interior is beautifully assembled and strikes a good balance between classic styling and modern technology. Time with the car was short, but the technology (including adaptive cruise and lane assist) is well integrated and the central touch screen nice and responsive – even if its chunky bezel is a little old-school. 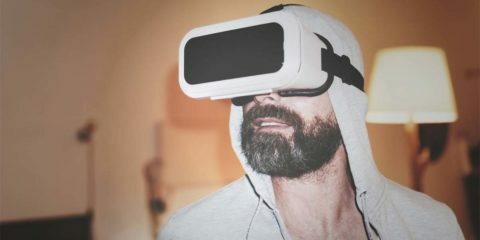 The Bowers & Wilkins sound system packed a real punch, with audio quality of an incredibly high standard – a feature that would be a joy to explore further. The Diesel motor up-front produces a fair bit of poke – 600NM of torque from 2000rpm is not to be sniffed at; 62mph can be attained in 6.3 seconds. However, whilst Maserati’s efforts to produce a soundtrack fit for the Maserati badge are admirable and impressive, it simply cannot match the bark of a petrol engine. With that in mind, I swapped keys during a stop-off and jumped in a 350hp petrol Levante GranSport. 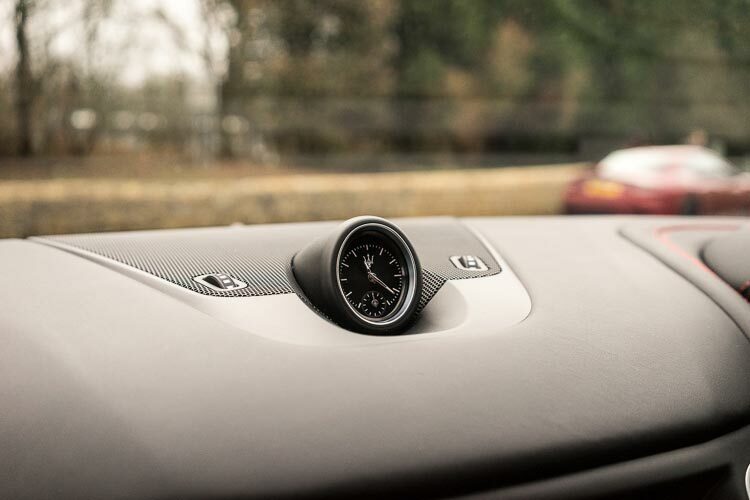 The interior is instantly recognisable from the Ghibli, but with the Gran-sport trim the seats focus a little more on support rather than comfort. In ‘standard’ mode, the engine offers a subtle, tuned note which merely offers a hint as to the delights on offer via the sport button. Valves open, the exhaust has a real performance bark to it – not dissimilar to the Alfa Romeo Stelvio Quadrifoglio. Further aural interest is generated by the optional 430hp V6, which has an even more aggressive note. 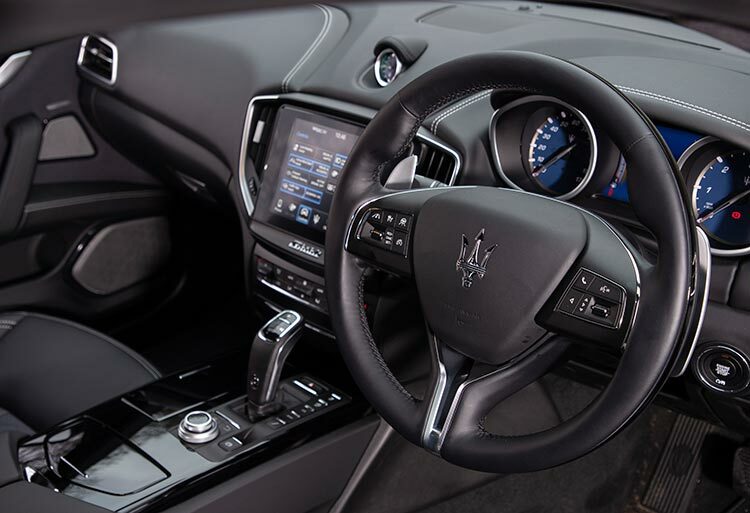 Cabin-side, it feels very spacious and well laid out – it took only a few minutes to feel fully at-home inside the Levante and the leather has a delightful ‘Maserati’ quality to it. Spirited driving was in short supply, but the chassis hinted towards potential greatness, with very little roll in the corners, good steering feel and comfort. Could this be a real competitor to the Stelvio’s ‘driver’s car’ SUV crown? Perhaps the biggest surprise of the event was the pricing. 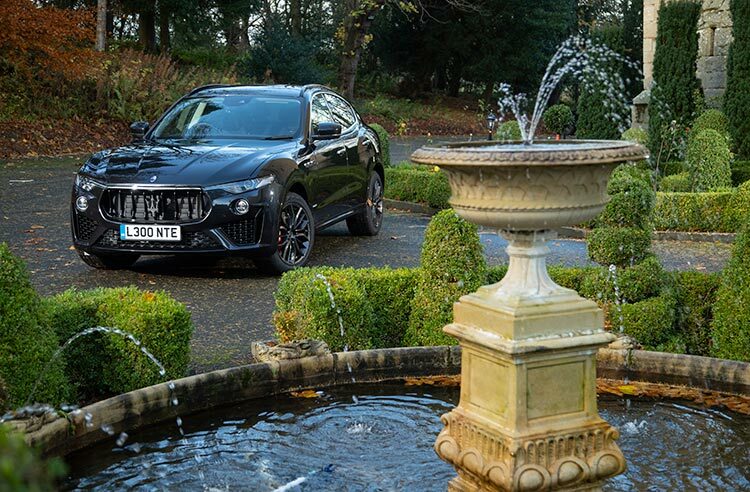 Maserati have worked very hard to make their cars more affordable, with the result being a £53,415 starting price for the Ghibli and £58,315 for the Levante. Admittedly, it’s easy to quickly inflate this with options (as tested Ghibli/Levante prices were £74,465/£82,790), but the basic price must surely raise a few eyebrows with competitors. 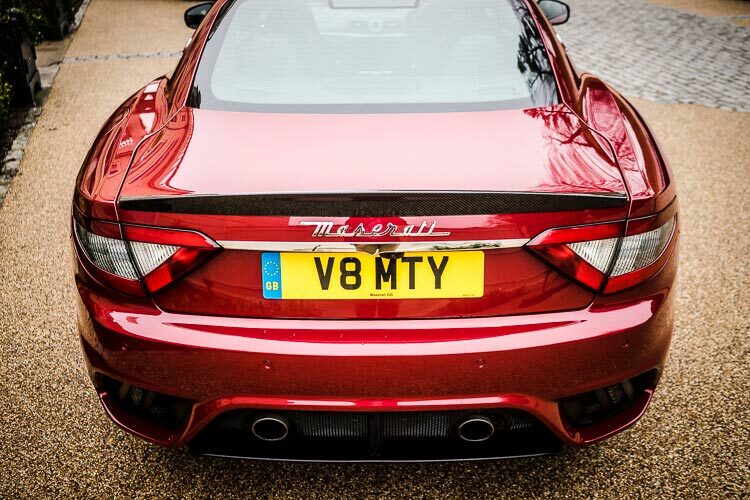 Admirers of the Maserati badge take note. 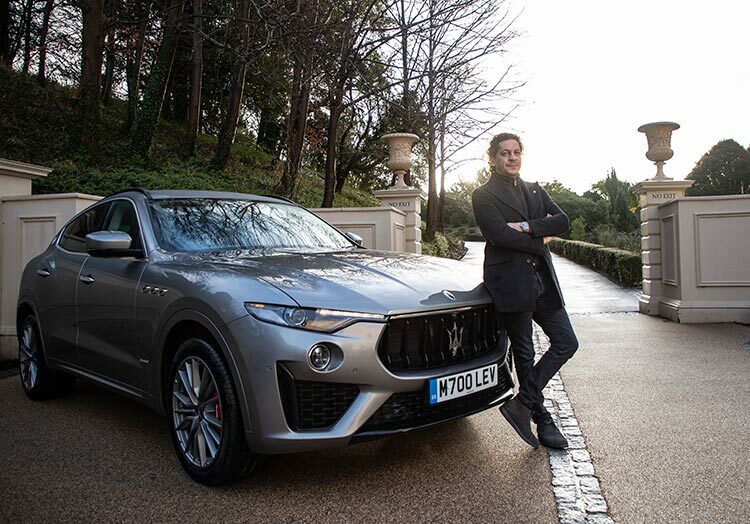 With the driving over on day 2, Maserati lined up a cooking experience with renowned Italian chef and TV regular, Francesco Mazzei. After an introduction, general guidance and discussion, a simple task was laid out; cook Francesco’s truffle risotto recipe to perfection. 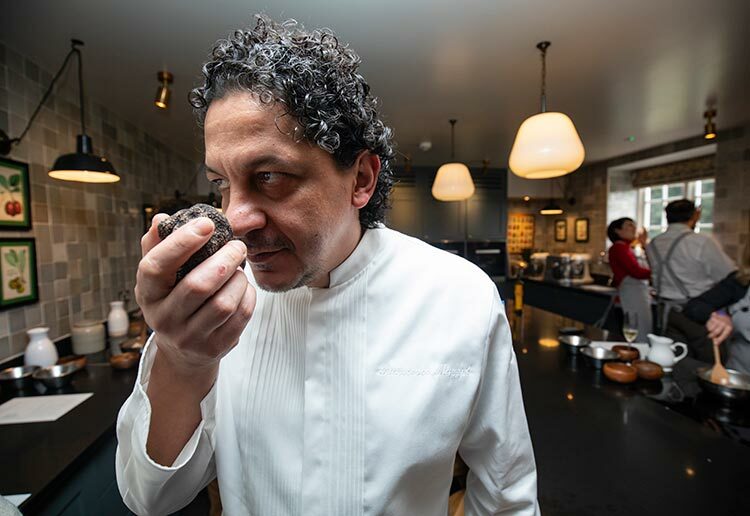 Ingredients were mostly pre-measured, but a few of the key items were left to our own desires, allowing our personal taste to influence the dish. A top tip from Francesco was to add the stock to the Risotto cold, which helps to draw starch from the rice and create a creamier dish – advice duly taken on-board. The pressure was on; as a half-Italian myself, I knew all too well the disappointment it would cause should I not win. The competitive element added a great deal of fun, with a dozen journalists going head to head to win a promised prize. 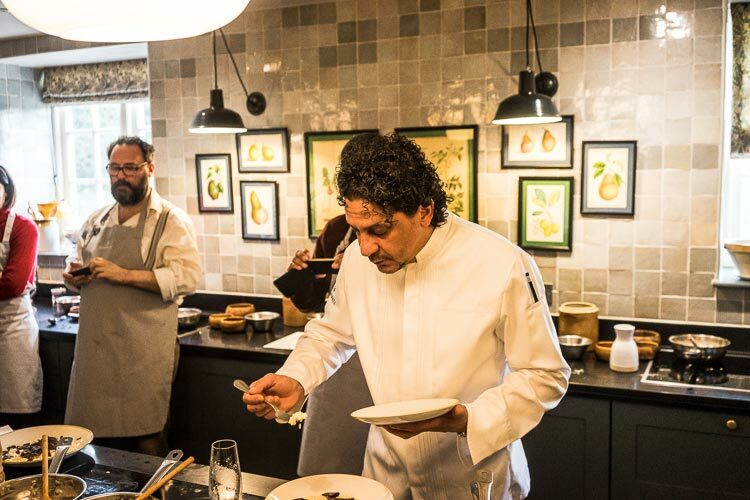 Final dishes were served up and each tasted by Francesco himself. Deliberations ensued, before Francesco returned to announce the winner – team MenStyleFashion had come out on top – I could return home with pride. 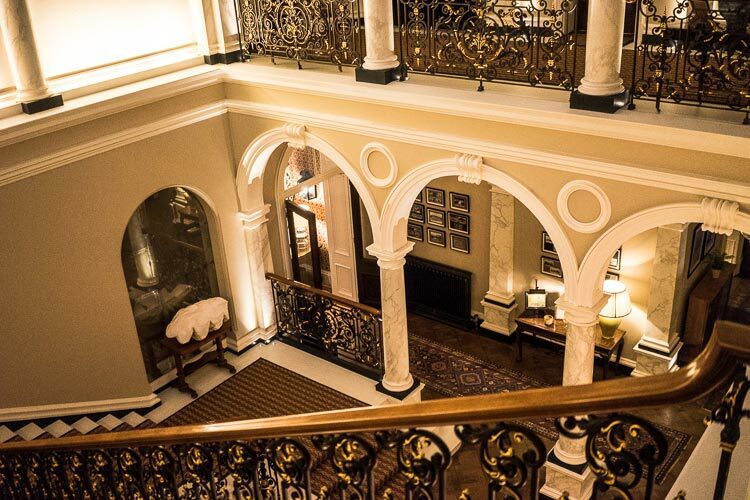 The whole experience was truly unique, and was followed by an Italian meal served from the Beaverbrook kitchen. The Beaverbrook in itself is a truly fascinating venue, which will have to be revisited by MSF in the future to do it full-justice. With a lot packed into our 2 days with Maserati, it’s safe to say we got a real flavour for the brands 2019 ambitions and look forward to working with them again through the year. 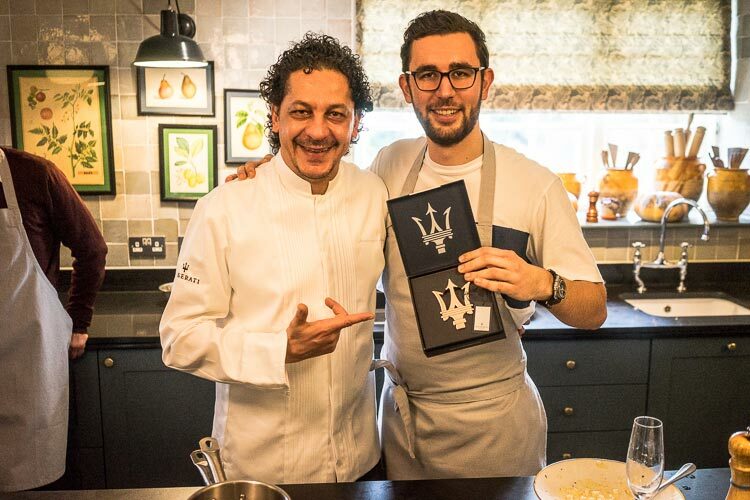 A big thank you to Maserati GB & Francesco Mazzei for being such fantastic hosts. Thomas won the best risotto competition!